The Deadly Dinosaur Predator "Lightning Claw"
Meet Australia’s largest known Theropod, a predator that would have exceeded seven metres in length and a dinosaur armed with dreadfully sharp and powerful claws. Claws, that unlike the dromaeosaurids the famous “raptors”, with their sickle-toe killing claws, were found on the hands. Say hello to the newest member of a bizarre group of Theropods the megaraptorids, although you can’t be formally introduced yet, as this meat-eater does not have a scientific name. The megaraptorids are represented by a number of genera, most of which are known from very few, fragmentary fossils. Their phylogenetic relationship with other Theropods remains in doubt, some palaeontologists have suggested that this group of meat-eating dinosaurs from the southern hemisphere may be related to the Coelurosauria clade, whilst other scientists have proposed that this group should be nested within the allosaurids. Whatever the exact taxonomic relationship, these dinosaurs are characterised by having large hand claws, specifically an oversized first digit (thumb claw). This new Australian dinosaur, whose fossils were found in an opal mine back in 2005, is no exception, based on a partial manual ungual (claw bone), it has been estimated that this carnivore had a twenty-five centimetre long thumb claw. This newest member of the Theropod family of Australia, is just one of two meat-eating dinosaurs to be known from more than a single bone* from “Down Under”. It has been nicknamed “Lightning Claw”, this has nothing to do with this dinosaur’s imagined reactions, but a reference to the outback town of Lightning Ridge in New South Wales, where the fossils were found by opal miners Rob and Debbie Brogan. The fossils are natural casts of opal and consist of a metatarsal, parts of the forearm, pieces of rib, fragments of the pelvis and a partial giant claw from the right hand. The strong hands with their highly recurved claws could have been used to dismember prey. * The other Australian Theropod dinosaur known from more than one bone is Australovenator (Australovenator wintonensis) the fossils of which come from Queensland but were found in strata at least 10 million years younger than the New South Wales fossil find. Since Australovenator also possessed over-sized hand claws, it is likely that these two dinosaurs were related, the interpretation of “Lightning Claw” created by the very talented Julius Csotonyi, is based on more substantial dinosaur remains including those of Australovenator. Dr. Bell along with co-authors from the University of Bologna (Italy) and Elizabeth Smith of the Australian Open Centre, which received the fossils as a donation from Rob and Debbie Brogan, have stated that the nasty predator with grappling hooks for hands, a sort of Freddy Krueger of the Dinosauria, roamed the flood plains of New South Wales around 110 million years ago (Albian faunal stage). The age of the strata is significant as this makes “Lightning Claw” the earliest representative of the megaraptorids known. Australia’s Cretaceous dinosaur fauna is largely made up of dinosaurs that are known from elsewhere on the landmasses that once made up the super-continent of Gondwana. It had been thought that the majority of the Australian dinosaurs were immigrant taxa. 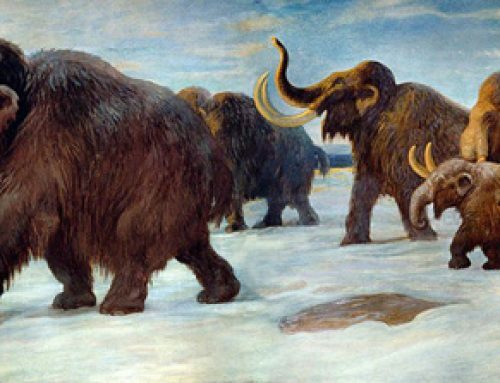 This may be a too simple explanation and a more complex two-way faunal interchange between Australia, Antarctica and South America may have taken place.